Scene of pit bull dog aggression attack and man's death. 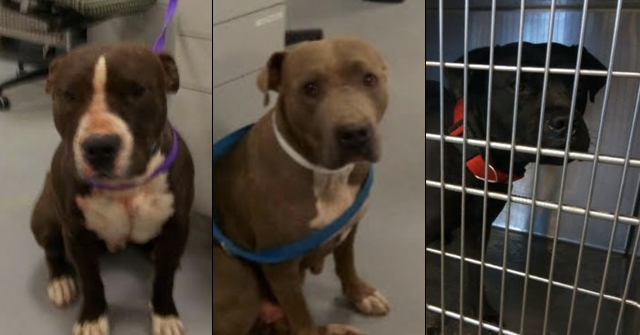 Douglas County, GA - Tim Thomas, 49-years old, died of a fatal heart attack on Friday after trying to stop his two pit bulls from killing a smaller dog. CBS Atlanta reports that the incident happened on Mitchell Mill Road. Apparently, Thomas "realized something was wrong" just after letting his pit bulls out. When he got out to the road, he saw his two pit bulls attacking the smaller dog. When Thomas tried to intervene, he suffered a fatal heart attack and died in the street. 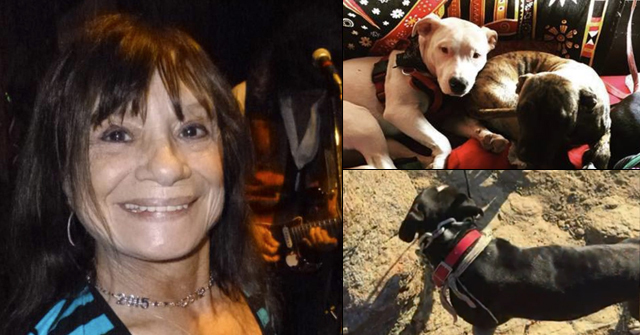 The man's family, thus far, has decided to euthanize his two dog-aggressive pit bulls. The Douglas County Sentinel reports that Thomas was on the phone with his ex-wife Myna Meyer at the time of the attack. "I heard him yelling 'stop, stop' and just heard growling, barking and him struggling with them ... I put down the phone and took off over here and he was dead right there," said Meyer. 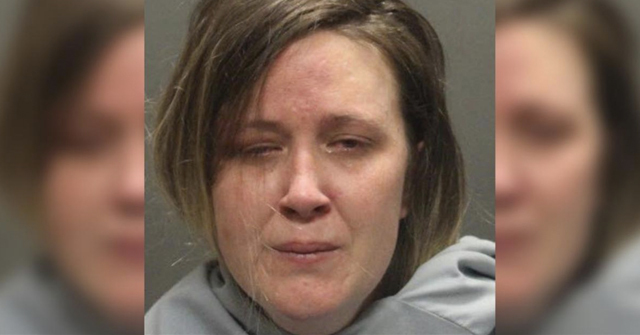 Thomas' father, Joe Thomas, also expressed shock. He said his son was a disabled Navy veteran and had medical issues, but was unaware of any heart problems. The victimized dog, a Lhasa apso, apparently survived its injuries. At least he died quickly of a heart attack, rather than slowly by dog attack, namely, his own. 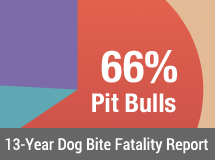 The Pit Bull Body count just keeps going up! He realized that something was wrong? Dude, something was wrong the moment you decided to own a pit bull. No, wait a minute. Make that two pit bulls. Better yet, at least HE died any which way, rather than anyone else (including other, normal dogs). What happened to the small dog? Well, he did catch a break that the little dog didn't catch. I don't know what surprises me more, the utter depravity and disregard so many pit bull owners show, or the pit bull owner that acts in such a way that suggests he really does mind that his beasts tear apart other creatures. Why get a pit bull if you're not perfectly happy with the pit doing what it was bred to do? Those dogs were bad news and everyone knew it. Otherwise the family wouldn't have killed em so fast. This was my dad… The dogs were very sweet and never really acted agressive. The story goes that he let the dogs out to go pee, and they ran up to the neighbors house where there was a new puppy, they mauled the puppy and my dad ran and wrapped his body around the puppy and had a heart attack in the process. Someone abandoned the two pit bulls at my dads house and he choose to take care of them. Is the comment from Unknonwn @10:22pm supposed to be credible? Is it supposed to stop us speaking our thoughts here? So-called your dad just died, and you're cruising the Internet looking for places to excuse both him and the pit bulls? Wow, that's some quick recovery from shock and grief. Any which way, the remark is offensive. It comes down to yet again denying responsibility: for choosing to keep pit bulls, for letting them have a pee by roaming the neighborhood while you're on the telephone, for the attack on the small dog (you'd be saying the same if it had been a child). But to top all this off, it's also an attempt to shut down comments here. It won't work with me, at any rate. I have watched so many normal dogs die horribly by savage pit bull attack, known so many children that have been mauled and changed for life, that I have no sympathy whatsoever with any adult who chooses to keep pit bulls. Doesn't matter where the pit bulls came from — when the consequences come, it's justice that they be on that adult's own head. After all, an American is dying this year about every two weeks by pit bull, and anyone who chooses to keep pit bulls is putting all of us in this harm's way. We're supposed to be sad when the danger turns back on the pit-lover? One who lets his maulers pee by roaming the neighborhood to boot? Or we should shut up because some anonymous person arrives claiming it was his 'dad'? Nope, not me. You-all are so good at telling someone else to just get over it when they or a loved one have been mutilated or killed by a pit bull — so hey, even if this was your dad, get over it. Move on. It was just a freak accident, it happens in life. And learn from it: next time you see a stray pit bull, call animal control or shoot it, cos if you inherited your father's heart problem, you could be next. I'm in Tucson, Arizona, where the owner of a pit bull mix died after being mauled by his own dog. Happened a year ago. Before this man died, his hospital treatment so depleted our city's blood supply that an emergency blood drive was required. You might not be surprised to learn that sympathy toward pit bulls — and their owners — isn't terribly high here.